With summer in full swing, many in-house teams are laser-focused on seasonal trade shows, industry events and warm-weather marketing opportunities. This makes perfect sense, but raises an important question; why are their agencies focused on a different season? At this time of year, as temperatures rise and heating systems become a distant memory, we in the agency world are talking about an equally distant concept — Holiday. 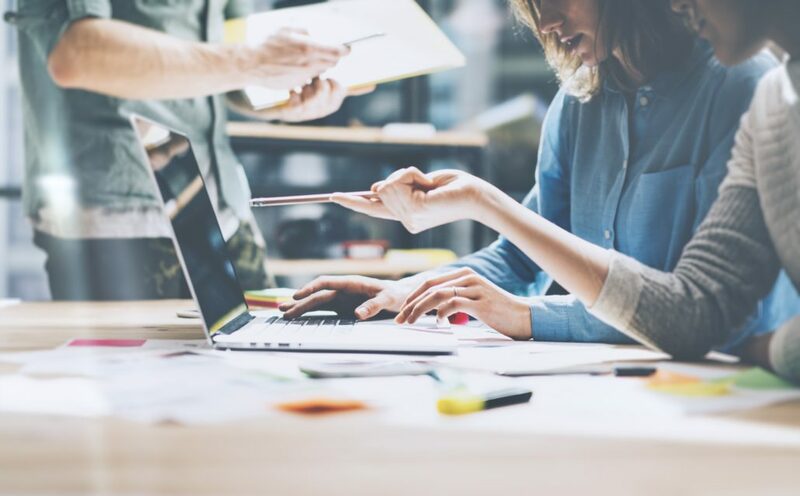 That may seem premature on first blush, but agencies often serve as an essential complement to in-house marketing efforts. This means that brands working with agency support have a two-fold advantage: an in-house team managing day-to-day execution of contemporary tasks while their agency partners develop future opportunities in tandem with the moment. This two-pronged approach is just one of the many reasons working with an agency can be so beneficial. When it comes to Holiday, there’s a distinctly different lifecycle to media coverage opportunities. Here at GreenRoom, we’ve been talking with editors and journalists about Holiday Gift Guides and annual award submissions as far back as our Spring Media Tour — and we’re seeing traction despite being months away from the colder weather. We’ve helped a number of new clients adjust strategy on the fly and add items to their calendar — secure in the knowledge that they now have the right resources to address them. Our team-based approach to media outreach drives impactful coverage year around, not just during Holiday. We’re constantly cross-pitching, which means your brand is given more opportunities to gain media attention via roundups, briefings, and trend pieces. This happens on the digital front as well. Marketing teams are often overflowing with work, so they’re unable to start tackling holiday campaigns until much later in the year, when options for partnering on large-scale initiatives are more limited. An agency partner keeps the ball rolling, and by the time fall comes around, Holiday campaigns are already in full development. As on the media side of the house, our digital seasonal strategy isn’t limited to just holiday. Our team has spent the summer dressing models in sweaters and tailgate football gear, prepping for creative content that will publish in fall and winter. Working with a number of clients facing the same challenges puts an agency in the ideal position to inform timing, budget, and strategy on both the media and digital marketing fronts. While we’ll constantly analyze the performance of your brand’s initiatives towards established goals, we’ll also compare this progress to the results we’re seeing from other clients. Because of this, you gain a greater depth analysis. If something needs to be changed, we can borrow learnings from other clients, and implement a strategy that we already know to be successful. This is especially important on the digital front, where platform algorithms constantly change. If you’re working with just one brand, it may take months to analyze a trend that an agency will quickly see appearing across multiple clients. This means that clients partnered with an agency can better take advantage of platform updates, adjusting strategy to meet the needs of today. On the PR front, agencies are the first to know when a publication is changing direction or when a new reporter is hired for a beat. This up-to-the-minute information creates efficiencies in media outreach and saves time and effort. Negotiating pricing is another key area in which agencies pay dividends for their brand partners. Third-party vendors and influencers know that agencies have a broader client reach, so agencies can often negotiate better rates and find deals more regularly than a single in-house team. Negotiation doesn’t just happen on the outside — sometimes internal marketing teams need additional resources to get senior management on board with a new initiative. This is also the time of year when marketing teams are pointing towards budget discussions that will impact the year to follow. We can help bolster the case for additional dollars that could mean the difference between running in place or speeding ahead. An agency can be that reliable outside voice, often delivering the essential push when a VP needs to ok a budget. When Is the Right Time to Hire an Agency? We know that even the most skilled of internal teams can benefit from additional resources for seasonal initiatives, product launches and award nominations, among other milestones taking place in the back half of the year. Often in our conversations with brands the question arises of when to hire an agency. While each situation is unique, there are a few times when agency support can be especially helpful. As an agency, we’re able to place our clients in a plethora of marquee media outlets. By giving the media a first look at the product, the brand is positioned to have a string of hard-hitting press coverage publish during the launch. This is a great way to generate buzz and place your new product at the forefront of consumer’s attention. The holiday season is a critical time of year for retail companies, as millions of potential customers are in “buying mode.” One of the most sought after media placements are Holiday Gift Guides, some of which are the only source of product information for shoppers! However, the timeline for this may start earlier than you think. We typically start Gift Guide conversations with reporters in June — yes, June! — in order to maximize coverage. Opportunities and placements will grow as we get closer to the holiday season. When it comes to trade shows, our biggest priority for our clients is to make a huge splash. Whether it’s a large show like CES or an industry-specific show like Interbike, we strive to fully maximize the days you’ll be attending. In addition to booth support, we’ll secure meetings with top-tier media outlets during the show, giving you an opportunity to present your product front and center to some of the biggest names in media. On the social side, trade shows can be one of the best times to take advantage of live features and trending opportunities. Our team can be on-the-ground to handle photos, video, and live digital engagement. Maybe you’ve been selling your product for quite some time and feel like you’ve plateaued. You might feel that if you could just reach fresh eyes, your product would take off. That’s where we come in! We provide you with a PR and social “megaphone” that allows you to spread the word to millions of potential customers. With sample units available, we’re able to create engaging social content that aligns perfectly with the brand story we’re telling marquee media outlets. 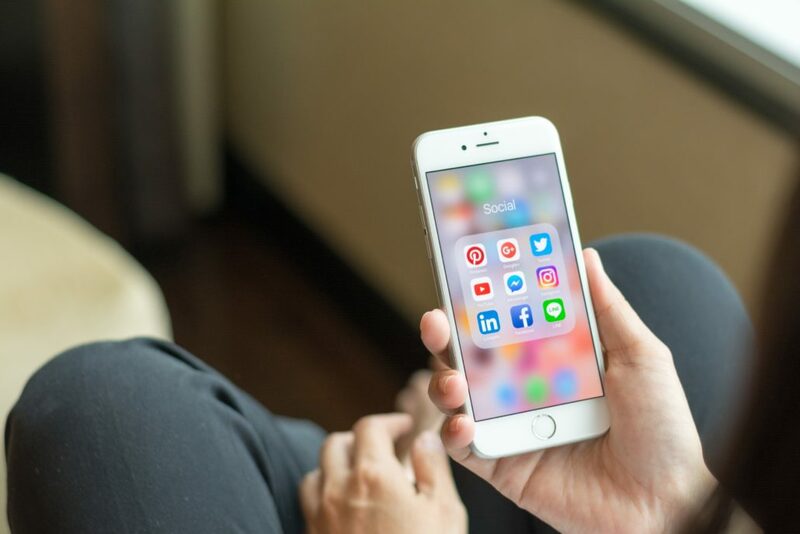 This one-two punch of social and PR will make sure your product is not only being seen, but being seen by the right people. What comes to mind when you think of a cease-and-desist letter? A few paragraphs filled with legal verbiage, reprimanding and threatening a business or person for participating in some type of illegal activity? Usually, you’d be right. Most cease-and-desist letters follow a similar format and structure. However, Netflix stirred things up with latest recent cease-and-desist letter to an unauthorized bar themed around the company’s original series, Stranger Things. Netflix made the letter casual and lighthearted–emulating the series and its characters’ overall mood and spirit. Ditching the typical formal greeting, the company started off the casually-written letter by addressing the owners of the bar by nickname, Danny and Doug. What followed was just as informal and playful, with references to the show’s notable use of walkie talkies, the Upside Down an even Dr. Brenner. However, despite the informal tone, the company made it very clear that if the owners didn’t shut the bar down, there would be serious consequences–like the Demogorgon or their mom getting involved (yikes!). Although entertaining, the letter is much more profound as it showcases the company’s brilliant understanding of marketing. For years, companies have tried to showcase their personality to the public through different marketing materials. 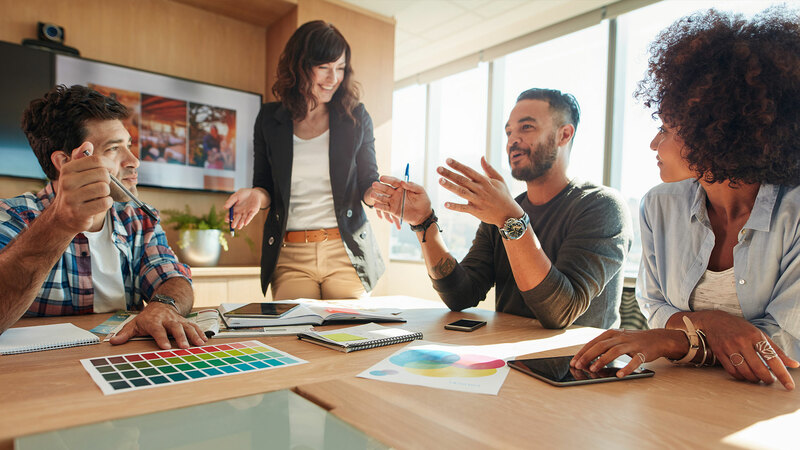 For companies with bigger budgets, these materials are usually in the form of commercials, provocative billboards and a strong social media presence. For those with smaller budgets, a grassroots approach is more likely to be utilized. However, would you ever consider a legal document with potentially serious ramifications as a form of marketing? Netflix demonstrated clever marketing which was leveraged as a solid public relations story that achieved their goal without tarnishing their reputation. Netflix enforced it copyrights while portraying itself as a fun and cool company, which is quite a feat. In another unique example, McDonald’s flipped its iconic golden arches upside down across different outlets, including a branch’s outdoor sign, to celebrate International Women’s Day. The company could have simply sent out a tweet acknowledging the cause, but chose to make a serious statement and flipping one of their restaurant’s outdoor signs. In doing so, the company sent a message and strategically placed itself as a serious advocate of women, which consequently strengthened the company’s image of being socially responsible. Ultimately, companies like Netflix and McDonald’s prove there are countless–and frequently overlooked–opportunities to spotlight and heighten your brand’s image. Whatever image you wish to present to the public, whether it’s a creative and user-friendly personality like Netflix’s or a socially-conscious and thoughtful personality like McDonald’s, could be conveyed through all aspects of your company. So, the next time your PR department is constructing a press release or your HR department is sending a letter of warning to a fellow employee, conceptualize ways your brand’s personality could shine through and be reinforced. When looking at the marketing wheel, each spoke represents an important element that keeps the wheel turning. These can include PR, digital marketing/social media, print & web advertising, television commercials, influencers, and other components. Each one requires a dedicated team to properly develop and execute a strategy for success. While many agencies try to offer every service possible, a great agency will know that results suffer tremendously if there isn’t a dedicated team for each service. At GreenRoom for example, we hone in on two services that we feel are the best compliments for each other: PR and digital marketing. 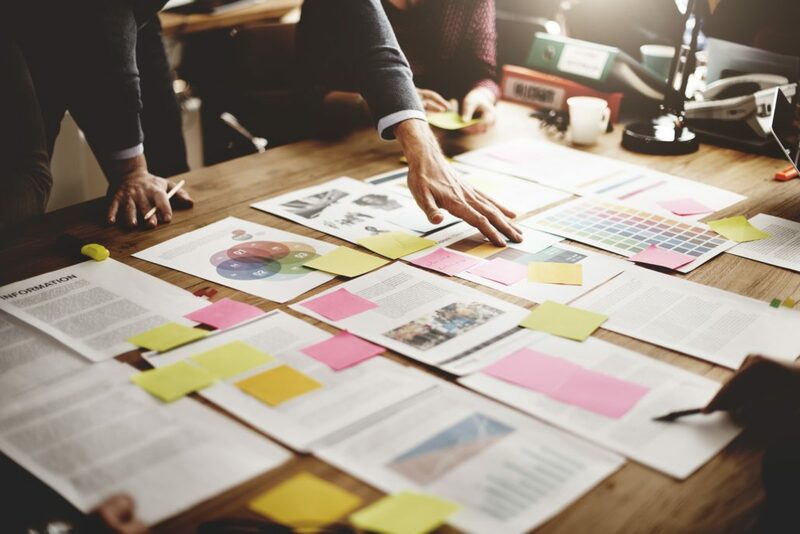 With one team that is focused solely on PR and another focused only on digital efforts, there are plenty of efficiencies that come with having these two necessary components under one roof. Benefits include consistent messaging along social media platforms and secured media, ease of communication between the two teams, and strategies that reflect the efforts happening on the social media platforms and in the media. We hear time and time again from companies who view digital marketing as a tool for customer relations, not as a tool to further market the brand and drive sales. To us, digital marketing and social media are new frontiers of opportunity to place your brand in front of millions of potential customers. Better still, digital efforts can extend the reach of great PR and lengthen the life of heavy – hitting press pieces. What is news today will be old news tomorrow, but if you’ve been featured in an outlet with one of the highest reader and subscriber numbers, wouldn’t you want to turn that media hit into a tool to gain more customers? This is exactly what a targeted digital marketing strategy can do. By identifying an audience based on sales or desire to increase growth in a market, your digital team can take a great placement secured through your PR strategy and amplify the coverage across your social media platforms using advertising strategies to place these wins right in front of a particular audience. At GreenRoom we take this a step further; while the PR team is busy engaging with the media, our social team is also engaging with the social platforms for of these media outlets. By working with an outlet’s digital team, we gain insights into how that media outlet posts. This ensures that the brand is included and tagged, while we offer suggestions such as hashtags and key terms. This is a great way to maximize a post even before any money is spent on the digital fronts. Utilizing PR and digital marketing to work together to amplify and extend the life of great coverage is a powerful tool in your marketing toolbox. Your PR team should always relay media hits as soon as they publish so your digital team can leverage these within their arsenal. Instead of the consumer relying on you to explain why the product is great and worth the purchase, you can utilize a review from a marquee press outlet and amplify it across your customer base. 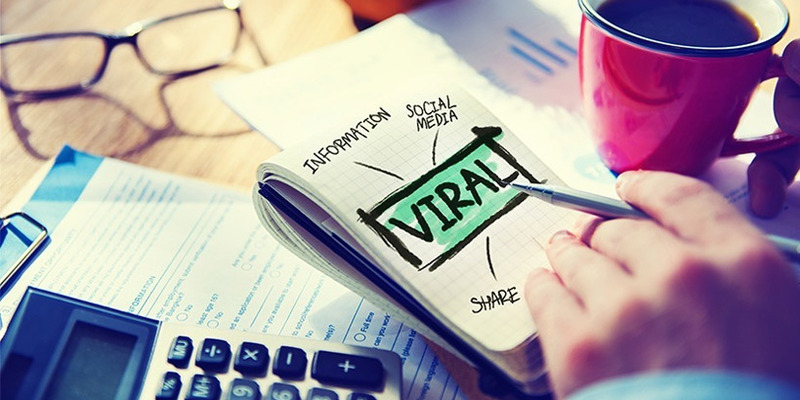 While this is a strategy overlooked by many, companies that are using this method are turning traditional PR into digital PR of the 21st century. More than ever, politics is taking center stage in different aspects of our lives, and the publications we read every day are taking their cue from this dynamic. As such, journalists who don’t typically cover politics are now pulling double – or – triple duty to keep up. From a PR perspective, this presents a challenge for brands to have themselves featured and written about when more and more stories are politics – based. An agency with their finger on the pulse of the media will be well equipped to capitalize on this shift and secure great hits. At GreenRoom for example, we are always ready to pivot and develop strategies that will ultimately position our clients to be successful. With journalists increasingly focused on producing politically – focused coverage and reducing bandwidth for product – oriented media, it can be challenging for a brand to get the attention they are seeking. Your team should have strategies at hand that allows you to leverage your brand within the evolving news cycle. One example of a strategy we employ is “media newsjacking”; our approach is to look at trending political stories and put our clients at the forefront of these topics. This is a good way for a brand to get great corporate and business – oriented coverage. Select a lead executive on your team and give them an opportunity to discuss the effects certain political policies are having on your industry. These soundbites and quotes may be syndicated across different markets and lead to the establishing of your company as an industry leader. A priority for your team is to have a healthy, revolving mix of coverage that transcends different vertical markets. While it’s always great to have a large volume of product spotlights, you will need to make sure that you’re focused on further establishing yourselves within your particular industry. It can certainly be difficult to break out of the mold of traditional press and move towards a more business – focused angle, but when you’re collaborating with a holistic agency such as GreenRoom our strategies are designed to leverage the current media conversation and ensure that your brand is involved. 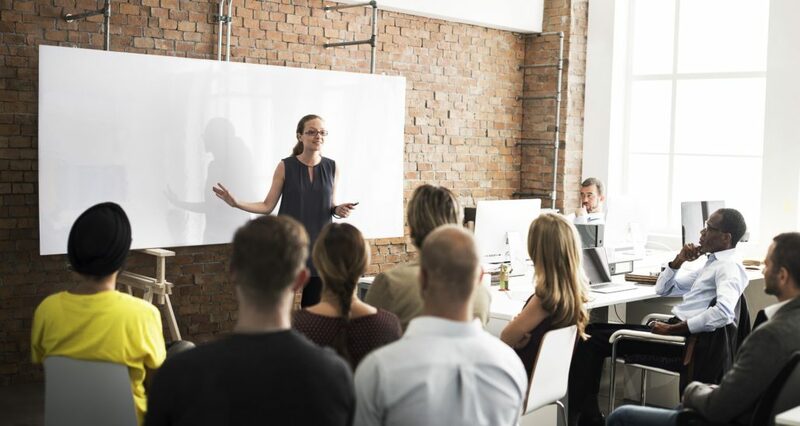 With the amount of time spent planning announcements, marketing campaigns, trade show logistics, or even a vacation, the thought of having a “crisis communication” plan tends to fall to the wayside. Ensuring a designated spokesperson is prepared, and the message to media contacts is clear, having both an internal and external order of operations helps streamline conversations in the event a brand is faced with a crisis. As you can imagine, this is easier said than done. Your day is filled with attending to pressing matters that could determine whether you hit your fiscal year’s goal, and the last thing you want to focus on is a hypothetical situation that may never occur. Generally, when corporate entities scramble, it’s very clear to the public and companies typically begin making terrible decisions. The potential snowball effect can lead to unintended consequences that prolong a crisis. Once the crisis presents itself, take a step back and understand who is truly being affected and why. Sometimes when a company finds themselves in a crisis, the reasons aren’t always obvious, and other times it’s right in your face. Social media offers the ability to see the conversation in real time and can give perspective on the situation which can lead to a more effective and compassionate solution. The term “PR nightmare” exists for a few reasons and often arises out of an expectation that was amiss. Perhaps a concept was not meant to be insensitive but was perceived in a way that unleased a tornado of backlash. While it’s impossible to always know what someone will think, trying to view a campaign from a multitude of angles can avoid a misunderstanding. However, it’s always important to exercise empathy in the wake of something the public deems offensive. In the PR world, timing is EVERYTHING. Whether you’re preparing a launch event and need to assure a high volume of press coverage is published or looking to secure longer-lead opportunities for a seasonal marketing initiative, it is imperative that everything is timed correctly so you don’t miss what could be a major opportunity for brand awareness. The same thing applies in a crisis situation! Once a fire starts you need to begin putting it out before it burns down a village. This is closely intertwined with preparation, so you’re not wasting valuable time bouncing ideas off one another (in an already stressful situation), and immediately begin executing your plan and mend your brand. In a world of 24-hour Snapchat Stories (or at this point, Facebook and Instagram stories), it can be very easy to assume that certain things will blow over soon enough. While that may be the case, companies that find themselves in a crisis learn rather quickly that sitting on the sideline can only make matters worse. When someone wants an answer, they want it now! This one is a no-brainer but has been ignored in the wake of a crisis when people are not thinking clearly in tense situations. While it may seem like an easy way out, the moment it comes to light that a company lied, trust is violated, which is something consumers take quite seriously. You don’t have to take our word for it, just ask Samsung. There is no perfect formula to resolving a crisis, as some situations can take months or even years to fix. Being prepared and having a plan of action can go a long way when you find yourself in this situation. However, if you’re a company that can do-no-wrong, there are still plenty of great reasons to hire a PR agency. Keep in mind though, there isn’t a company on this planet that is immune to a crisis, as we learned when media darling and source of nutrition for Millennials was put on the spot – I’m of course talking about Chipotle. Do you have any crisis communication tips to share? Comment to tell us your insights! When is the Right Time to Hire a PR Agency? Using a PR agency provides the media with a first look at the product. This positions your brand for strong press coverage in advance of the launch, which results in robust coverage throughout the launch as well. Because consumers are already in “buying mode” during the holiday season, this is an ideal time to utilize a PR agency to place your products in front of target audiences. To maximize time at trade show, a PR agency can secure meetings with top-tier media outlets during the show. PR pro’s media connections can help your brand make a lasting impact and better position your product. For many brands, hiring a PR agency can generate fresh media placements that share products with millions of potential new customers. Keep in mind, success from PR doesn’t always happen immediately, which is why creating a program that lasts beyond a few months is crucial. Continuously integrating PR into your greater marketing strategy can ultimately increase your market reach and ROI. Want to get a better glimpse at some of the award-winning PR and digital marketing work GreenRoom does for its clients? Click here to view our case studies. https://grnrm.com/wp-content/uploads/2017/03/When-to-hire-a-pr-agency.jpg 3648 5472 greenadmin https://grnrm.com/wp-content/uploads/2017/10/GreenRoom-Logo-Final.png greenadmin2017-03-29 22:41:012018-01-09 03:15:58When is the Right Time to Hire a PR Agency? MIAMI – (February 20, 2017) – GreenRoom Agency, a leading consumer products public relations agency, won a 2017 SABRE Award in the micro-marketing category for its campaign with client Blast Motion and Major League Baseball. The SABRE Awards is run by the Holmes Report, a leading authority in the industry dedicated to providing insightful reports and analysis on public relations. The competition garners more than 5,000 entries annually, and shines a light on the most innovative and successful campaigns that truly make in impact for brands. The agency was tasked with positioning Blast Motion as the technology solution of choice for one of the largest and most valued sports leagues in the country, MLB. Additionally, GreenRoom underscored the significance of the way metrics continue to have a major impact on how the general public is experiencing sports. GreenRoom’s media campaign to officially launch the partnership was a resounding success with secured placements in leading publications, resulting in over 135 million impressions and accomplishing the goal despite a strict timeframe and limited budget. To learn more about GreenRoom and the services offered, please visit the website at GRNRM.com. Additional information can also be found on Twitter, Instagram, Facebook and LinkedIn pages or by emailing info@grnrm.com. In an era of Snapchat, Twitter, Instagram, Facebook and Periscope, images, links and videos spread like wildfire in the blink of an eye. While many of those images and videos we’re bombarded with are world and regional news and live events, every now and again we’ll see an interesting product, meme or cat video. The most viewed YouTube video of all time is Gangnam Style with more than 2.4 billion views (we warned you, it’s catchy) followed by Charlie Bit My Finger (so cute) and a slew of other music videos and Grumpy Cat memes. As PR pros, we dream about 2.4 billion views and we lose sleep over unique monthly visitors and comparative advertising values, but is there a magic formula to obtain this type of traction and what do we do with it once it’s happened? The quick answer is no and yes. While there’s no specific algorithm that equates to billions of eyes on a product and millions of dollars sold, it’s our job as PR pros to determine the unique qualities of a brand and bring those qualities to light for consumers. We are storytellers at heart; we do all we can to unearth messages that will resonate across the board to a wide variety of audiences. From there, we leverage our relationships and place those stories in outlets and on platforms that we know will generate traction. So what do we do with this momentum once we’ve obtained it? Quite honestly, we run like hell with it by continuing to tout those achievements on even MORE outlets and propel the brand into selling heaven. As with all cycles that ebb and flow, there’s always a point when the virality of a message ends. So we look for new stories from a brand, and whether it’s a new products, service or milestone, and we begin again. While the online media has completely exploded in recent years and video has become much more prevalent, television is still a coveted medium. The awe-inducing factor of seeing either a product or yourself on TV hasn’t gone away despite the YouTube stars who, in some, cases have more fans than Hollywood stars – but I digress. Questions! There will be a lot of them from the production team, and you should be asking many more yourself. Most national shows have rounds of production meetings, and you’ll need to provide a litany of press materials, bios, collateral and video links so be prepared. 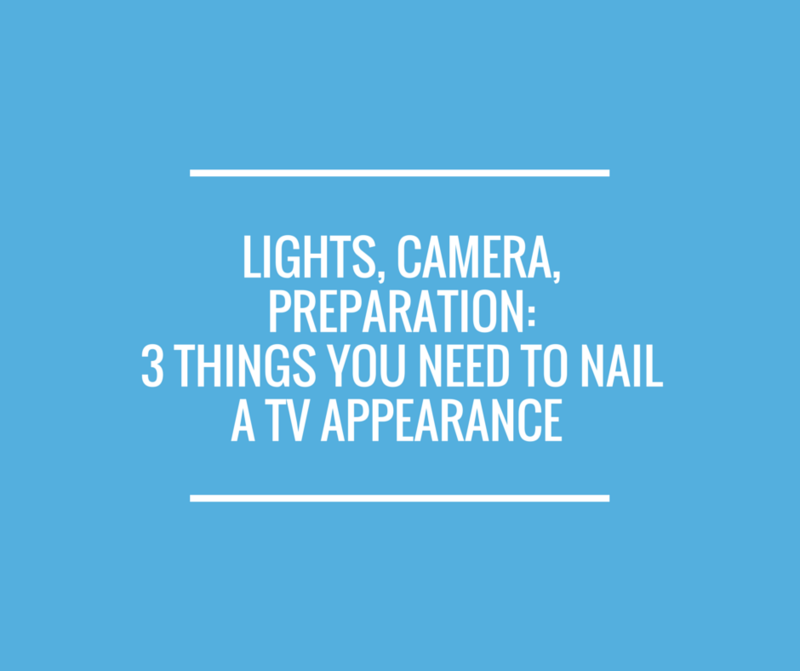 TV production can often move quickly, so be ready with these things as soon as they’re asked. Messaging: While any speaker should always feel comfortable on camera, it’s important to make sure that person has a rock-solid knowledge of their topic. The best interviews are ones that are conversations and not static Q&As. While the speaker should be very well-versed, they should also make sure the delivery is very natural and doesn’t feel robotic. The quickest way to either be cut from a segment or not asked to return is by being cold and sterile. Communicating effectively on camera is a skill that takes practice, even if it’s with your smartphone’s camera. Details: Everything from transportation, timing, contacts (and their cell numbers), location, body language and even attire needs to be considered. While most production teams will have a lot of this information ready, it’s critical to ask even the smallest questions. Knowing that your client won’t blend in with the green screen and be a floating head (yes, we’ve seen it happen to other people!) will undoubtedly make sure you sleep better the night before. Don’t forget to crack a smile – you’re on TV!